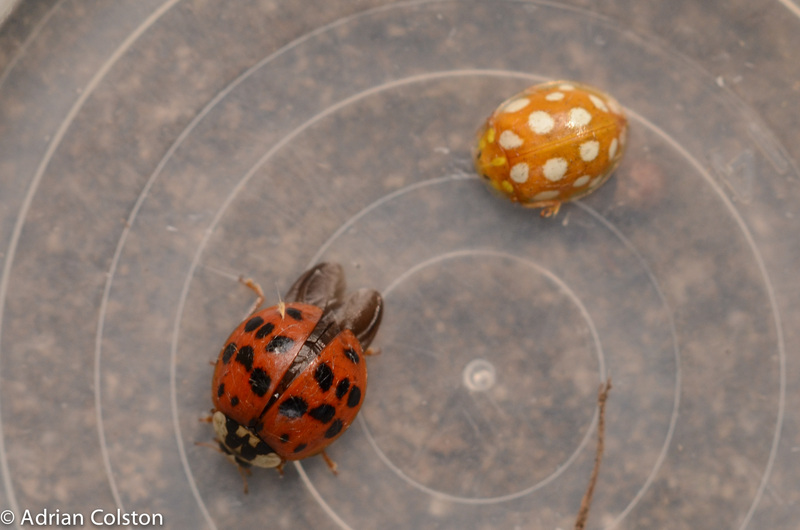 For more details on Harlequin ladybirds – see here. In the UK there are 47 species of ladybird! 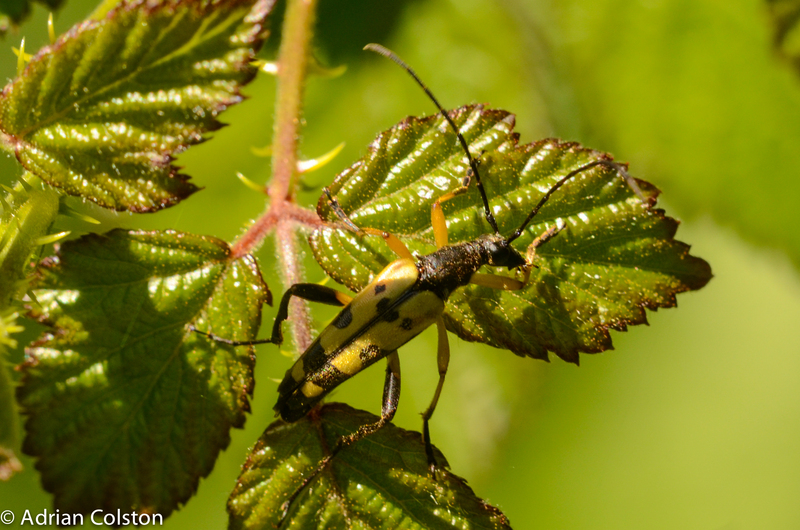 Here are a couple from my garden yesterday. The Harlequin Ladybird is the is an invasive species – it is a non native species and is a threat to our native species. The Orange Ladybird is associated with oaks and ash. 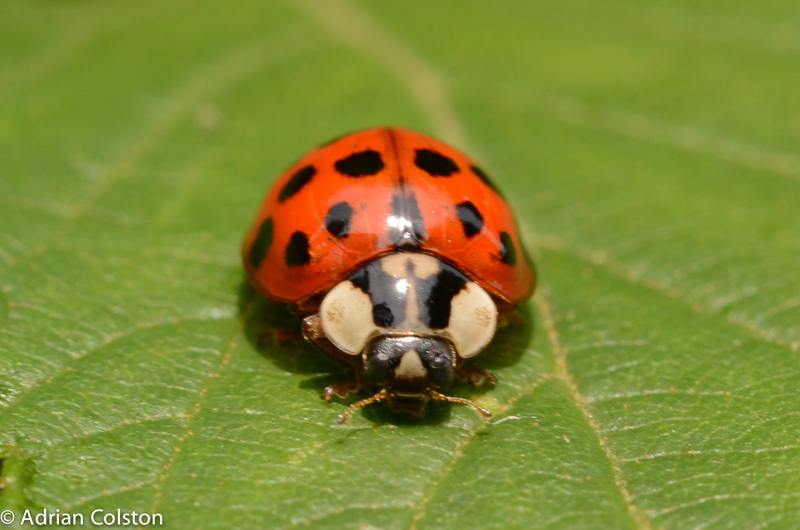 All ladybirds are predators of insects such as aphids. 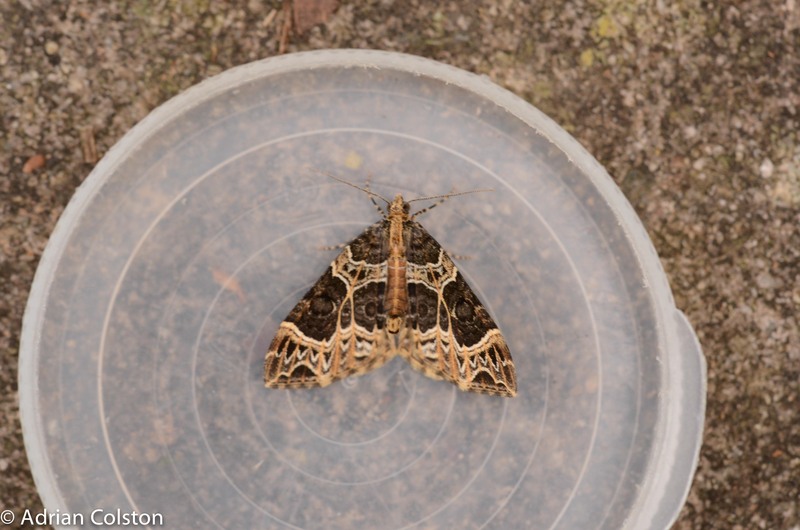 And the Small Phoenix – a smart moth! 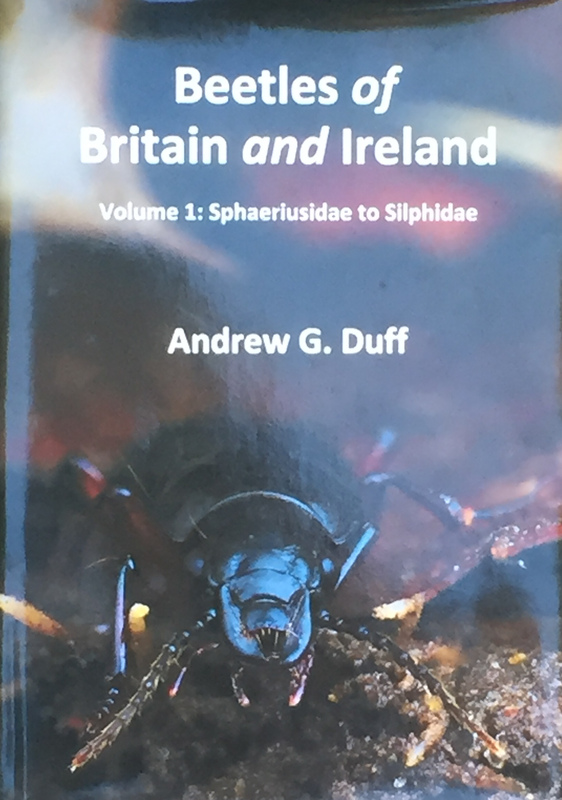 When I was at the Bird Fair at Rutland Water a week or so ago I was delighted to find that the second volume of Andrew Duff’s epic series on the Beetles of Britain and Ireland had been published. 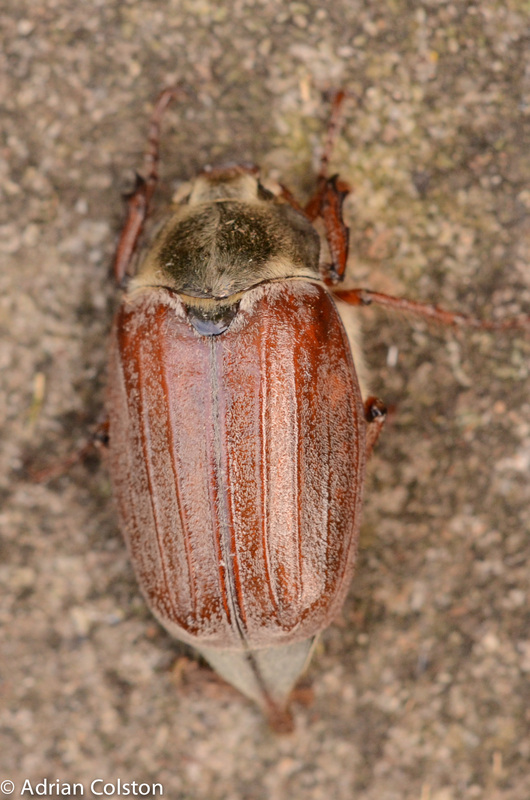 When complete it will consist of four volumes covering all the species of British beetles. 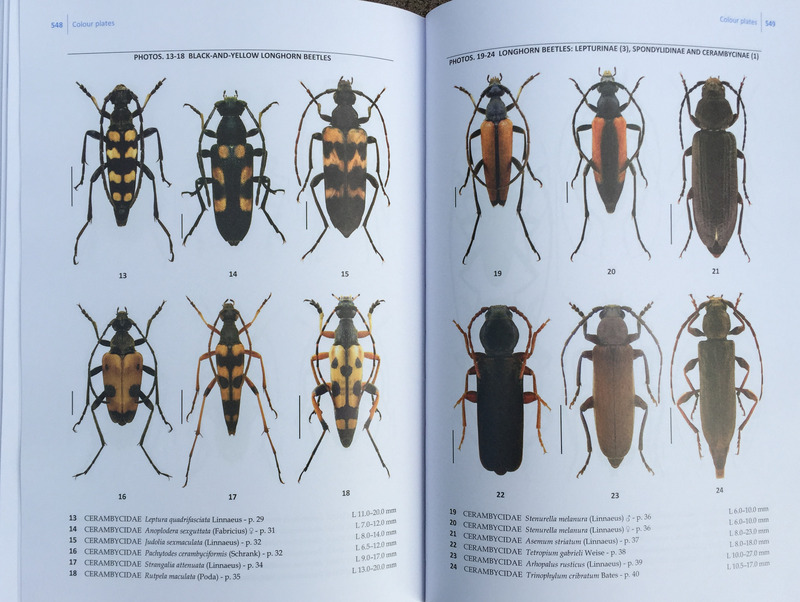 The first volume (Volume 1) was published in 2012 and included beetle families such as ground beetles, diving beetles, hister beetles and carrion beetles. The series is privately published by Andrew Duff. 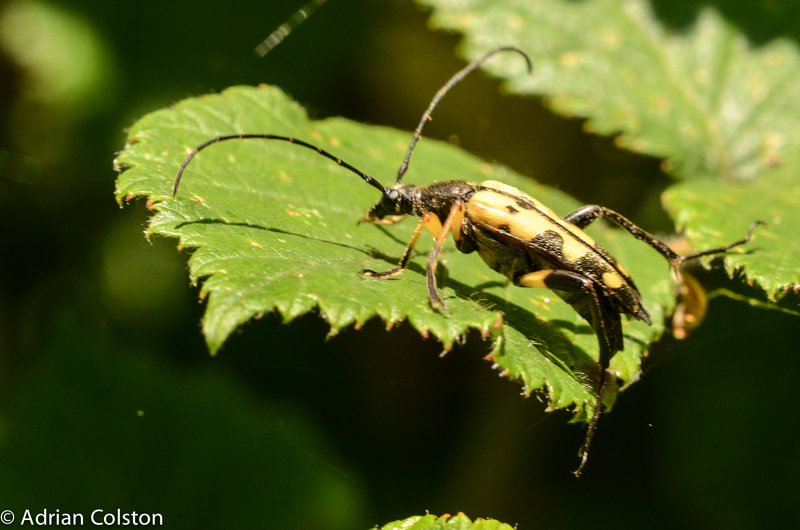 The second volume (which is actually volume 4) covers the longhorn beetles, leaf beetles and all the different types of weevil – the book is 623 pages long. 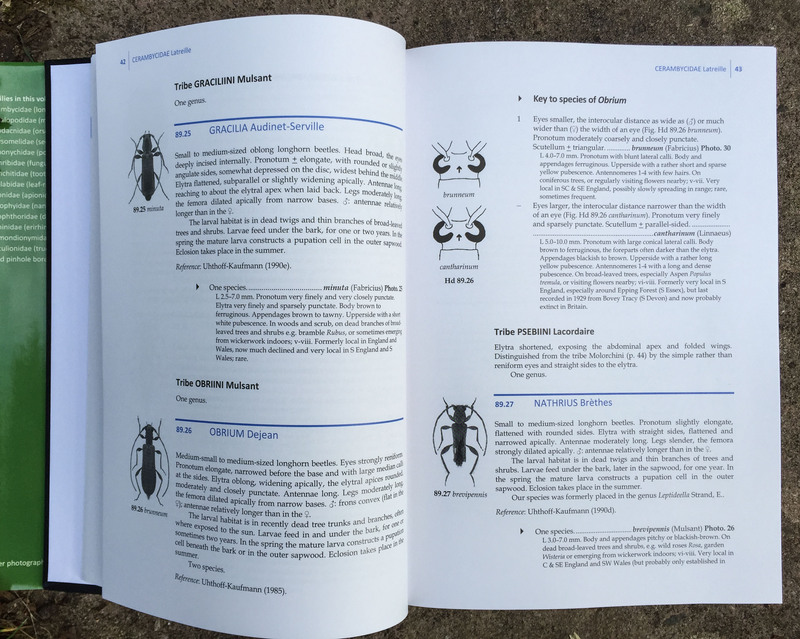 As you would expect the book contains keys to the sub-families and keys to enable you to determine the species of beetle you have found. 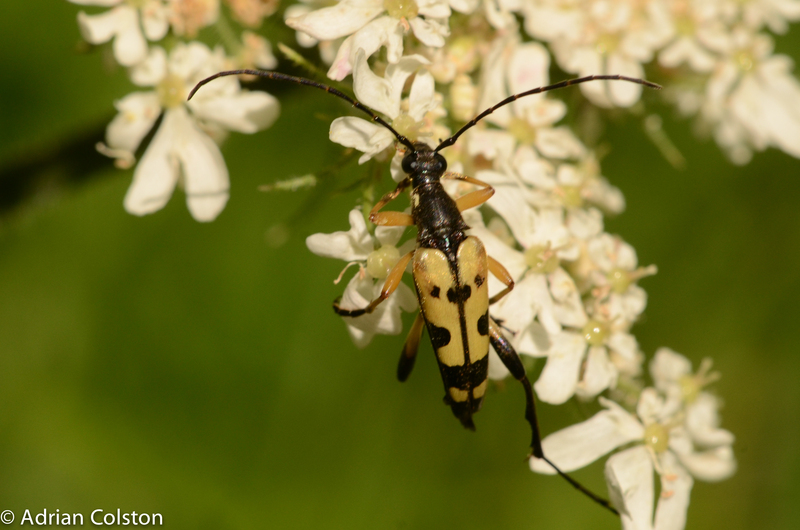 Up to this point people interested in longhorn beetles have had to rely on earlier books such as Joy’s 1932 A Practical Handbook of British Beetles (reprinted in 1976), various European books such as the bilingual German text by Ulrich Bense – Longhorn Beetles or the excellent 2 part paper in British Wildlife Magazine by Andrew Duff (British Wildlife Volume 18 pp406-414 and Volume 19 pp35-43 -2007). This new volume is now up to date with the current taxonomy and species status. In addition to the text and numerous annotated sketches the book contains marvellous colour plates of museum specimens. 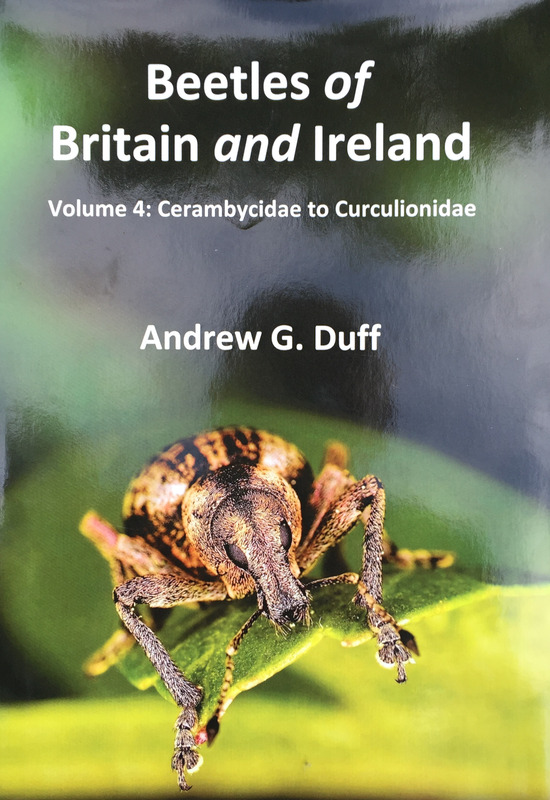 As mentioned above volume 4 also contains the leaf beetles and all the weevil families as well – a series of groups I am much less familiar with. This volume and the series to date is a magnum opus. Andrew Duff has produced a fantastic piece of work and we should be very grateful to him for his endeavours. Volume 4 is not cheap (£98) but for a 623 page book produced to such a high standard with a limited audience this is to be expected. I obtained my copy from Atropos – see here. 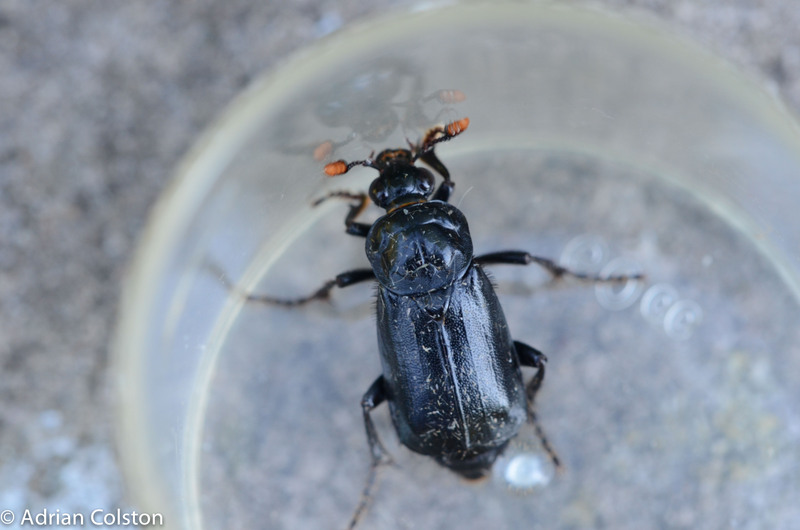 There was another burying beetle in my moth trap last night – this time an orange and black one. 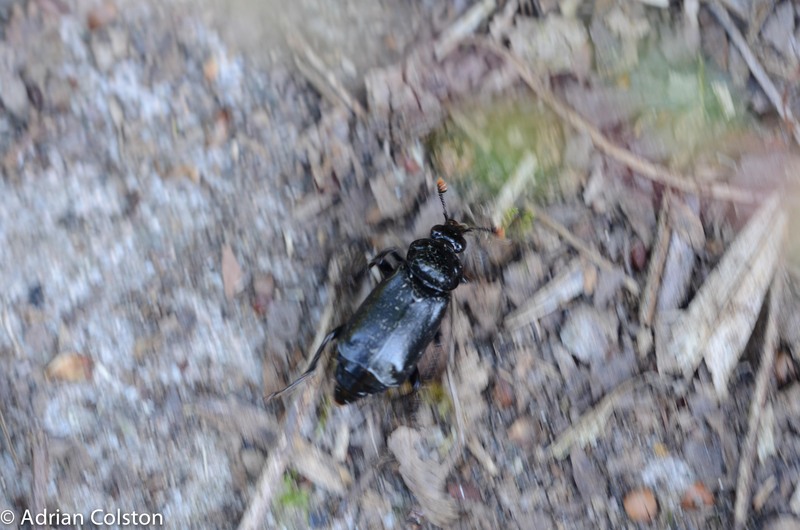 There was a large Burying Beetle in my moth trap this morning – it was about an inch long. 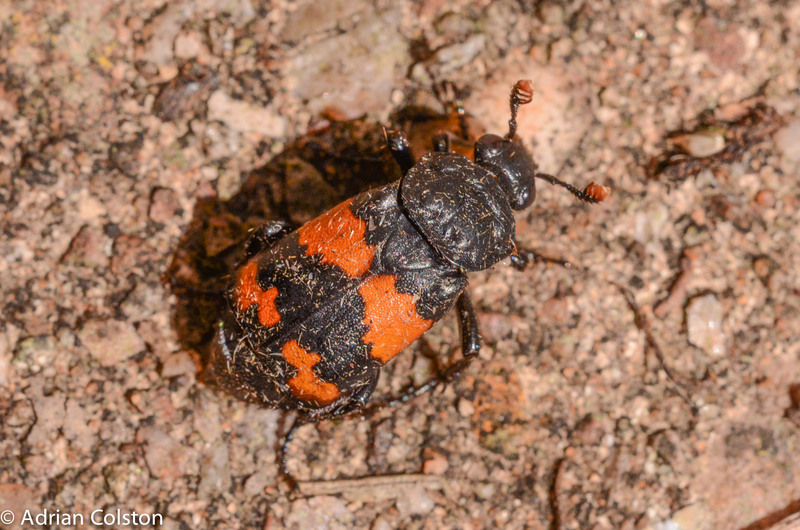 Burying beetles are scavengers and carnivores – often burying the corpses of dead mice and birds which they and their larvae then feed off.